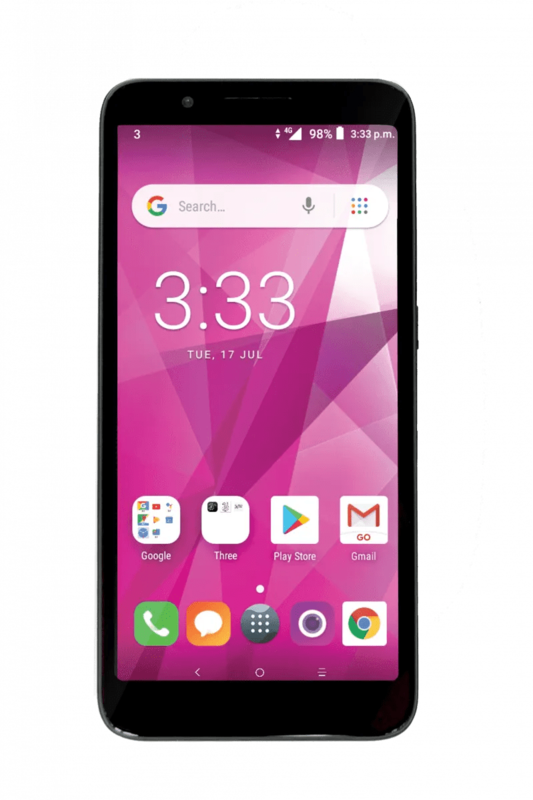 The 3Prism II comes with a metal brushed design with a soft touch finish and a FullView 18:9 display on a 5.34″ screen with a 2460mAh battery which should get you through the day given the relatively compact screen size. Running Android O Go Edition, fans of stock Android will be at home on this new handset also. The all new 3Prism Plus boasts an larger display with a 5.7” HD+ FullView 18:9 panel which is all the rage with all other major smartphone manufacturers. Packing dual rear cameras with a 120 degree super wide angle, photos from the new 3Prism Plus should be pretty respectable. The new handset now comes with a fingerprint scanner and a decent 3000mAh battery but we’re surprised to see that it’s only running on Android N so hopefully there might be an upgrade in the pipeline. We’re also not sure what the processors are underneath the hood for both devices but we’d imagine they’d be along the lines of what MediaTek are offering for entry-level handsets. Both handsets are currently available exclusively on prepay, the 3Prism II is €89.99 and the Prism Plus €139.99. For further information, visit three.ie.